With each new release of iOS, Apple tends to add a few new features to Safari, even if it’s just some tweaks to improve performance, or perhaps compatibility. In a world where Google’s Chrome is now available for the platform, Safari is no longer the only viable choice for a day-to-day browser that ticks all the boxes, and in the face of competition, Apple must act. With iOS 7 roundly expected to be released alongside a new iPhone later this year, those so inclined and with more ability than us have set about creating concepts of what they expect iOS 7 to look like. Safari isn’t being left out here, and designer Brent Caswell has released his own concept of what he hopes, if not expects, Safari to look like in the next release of the iPhone’s operating system. Perhaps the most called-for update, and one that really should have been added long before now, is a unified address and search bar. Chrome already has this across all platforms, so there’s really no reason for Safari to not offer the same clean look at this point. It might not sound like much, but it can make a big difference. 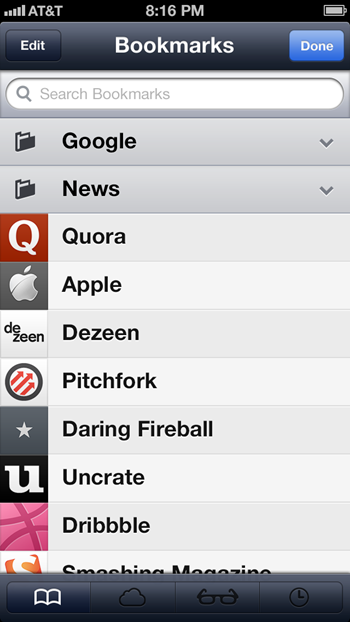 Bookmarking has long been less than great in iOS, and Caswell hopes to see an improvement in this area with iOS 7. Sharing of bookmarks through iCloud as well as a more colorful approach to the whole experience is top of the list, and improved organization would also be appreciated. Better page management is another area that Caswell highlights, with a new grid view allowing users to see previews of all of their open pages, thus giving an instant overview of what each page is without any messing around. Faster navigation would be the order of the day here, as well as improved aesthetics. Sharing could also be improved, with options for sharing to all manner of social networks and the ability to import content into other apps would see Safari’s stock rise, for example. Caswell also suggests some form of Safari notification system would be a blessing, too, though we’re not sure what that would be used for. 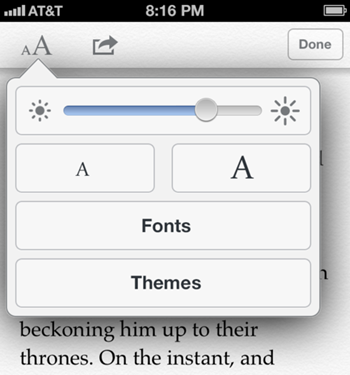 Lastly, Caswell suggests improvements to Safari’s Reader function, with the ability to change fonts and themes added to the current ability to change font sizes. We’re big Chrome users here, especially those of us with jailbroken devices and able to set a new default browser, but these changes may well cause us to reconsider. 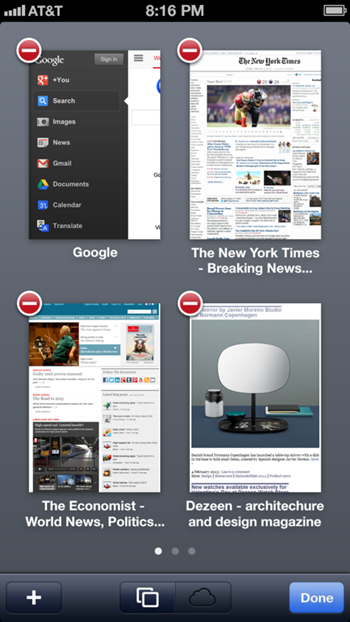 Until then though, Safari remains all-but crippled. Thanks Marco, for the hat tip!